Posted here is a copy of a letter dated June 8, 1933 to Theodore Dreiser from his nephew George K. Nelson. George Kates Nelson (1892-1955) was the son of Dreiser’s sister Emma Wilhelmina Dreiser by Lorenzo A. Hopkins. Mr. Nelson was the manager of a hotel in Manhattan. 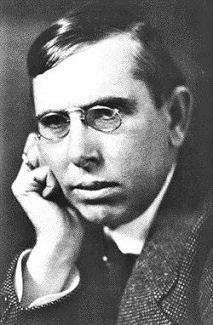 Dreiser was close to George K. Nelson’s sister Gertrude A. Hopkins, his niece. But, the cold, businesslike letter posted here shows that there was no personal relationship between Dreiser and his nephew George. Nelson had had a relationship in his adolescence with his uncle Paul Dresser, the songwriter (Theodore Dreiser’s brother), this according to an interview with Gloria N. Vevante, George K. Nelson’s daughter, conducted by Roger W. Smith in 2007. Nelson writes here: “It is understood that any such moneys received by me will be received as agent for Mary F. Brennan, Sylvia Kishima, Emma A. Nelson [George K. Nelson’s mother], Albert J. Dreiser and Rome M. Dresser. …” They were Dreiser’s siblings. This entry was posted in biographical (including posts with fragmentary but potentially useful biographical information about Dreiser, his family, or associates), correspondence and tagged シオドア・ドライサー, シオドア・ドライザー, シオドー・ドライサー, シオドー・ドライザー, セオドア・ドライサー, セオドア・ドライザー, George K. Nelson, George Kates Nelson, теодор драйзер, Theodore Dreiser on May 23, 2017 by Roger W. Smith. This entry was posted in biographical (including posts with fragmentary but potentially useful biographical information about Dreiser, his family, or associates), correspondence and tagged シオドア・ドライサー, シオドア・ドライザー, シオドー・ドライサー, シオドー・ドライザー, セオドア・ドライサー, セオドア・ドライザー, Edwad Minerod Dreiser, Edward M. Dreiser, теодор драйзер, Theodore Dreiser on May 23, 2017 by Roger W. Smith. See above downloadable PDF file. Sara Dreiser (“Aunt Juggie”) was Theodore Dreiser’s first wife. Her postcard was addressed to Gertrude Nelson. Gertrude, who was born in 1894, was the daughter of Dreiser’s sister Emma and Lorenzo A. Hopkins. She took the surname Nelson, the name of her stepfather John Nelson. Later, Gertrude changed her last name to Hopkins. Gertrude Nelson was living at the time in St. Louis with her aunt Mame, Dreiser’s sister, and Mame’s husband Austin Brennan. You should see your mother and father sporting at Avon-by-the-Sea. Your Uncle Teddy & I came a week ago & they are spending the day with us. We all go back this p.m. Your mother looks lovely. Love to all of you. This entry was posted in biographical (including posts with fragmentary but potentially useful biographical information about Dreiser, his family, or associates), correspondence, Dreiser's family and relatives, miscellaneous and tagged シオドア・ドライサー, シオドア・ドライザー, シオドー・ドライサー, シオドー・ドライザー, セオドア・ドライサー, セオドア・ドライザー, Gertrude A. Hopkins, Gertrude Hopkinbs Dorn, Gertrude Hopkins, Gertrude Nelson, теодор драйзер, Sarah Dreiser, Sarah O. White, Sarah Osborne White, Sarah White Dreiser, Theodore Dreiser on March 3, 2016 by Roger W. Smith.